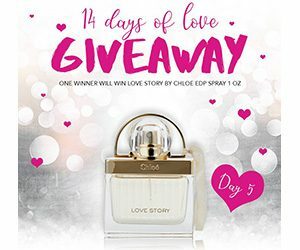 Each day they will be giving away the LOVEly fragrance shown in the image! Simply follow the instructions from their website to enter the Giveaway. You can enter through February 14, 2019. Good Luck!